Today on Techopera.com, i will be writing on the cheapest and most affordable data plans for all Networks in Nigera. There has been a major surge and huge competition in this field, as these telecommunication giants try outdoing themselves, to provide Nigerians, with the very best Data plans and internet bundles. This comprehensive list, contains all Data plans and Internet packages/bundles which works for all devices. WHY i decided to write on this post today, is because of the time most people spend, searching for the best Airtel internet packages, Glo data plan, Mtn data plan and Etisalat data bundles. This comprehensive list, contains all these four Major telecommunication networks data plans that works on Android phones, Windows Mobile, Smartphones, iOS, Blackberry, PC, Laptop, Modem, Wifi, etc. To make everything more easier for our readers, i decided to compile these list and make it accessible, starting from the most affordable data plans, and compiling each Network dialing code, subscription, amount and plan name together. 1.5GB for #1,000 : valid for 30days. Dial *496# to subscribe. 9GB for #3,500 : valid for 30days. Dial *438*1# to subscribe. For those on Laptops, PC, you can use the table format below and understand how this works. 750MB for #500 : Dial *103# or text 103 to 131. Valid for 7 days. 4.5GB (1.5GB day 6.01am-8.59pm and 3GB night 9pm-6am) for #2,500. Dial *120# to subscribe. 7.5GB for #8,000. Dial *101# to subscribe. 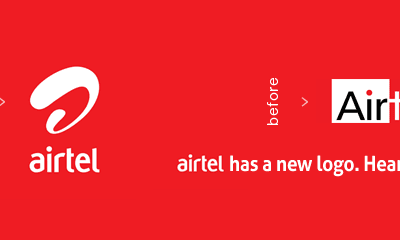 30MB for #50 – valid for 24hours – Dial *127*14# to subscribe. 100MB for #100 – valid for 24hours – Dial *127*51# to subscribe. 200MB for #200 – Valid for 72hours (3 days) – Dial *127*56# to subscribe. 1GB for #500 – Valid for 10days – Dial *127*57# to subscribe. 2GB for #1,000 – valid for 30days – Dial *127*53# to subscribe. 6GB for #2,000 – valid for 30days – Dial *127*55# to subscribe. 10GB for #2,500 – Valid for 30days – Dial *127*58# to subscribe. 12GB for #3,000 – valid for 30days – Dial *127*54# to subscribe. 18GB for #4,000 – valid for 30days – Dial *127*59# to subscribe. 24GB for #5,000 – Valid for 30days – Dial *127*2# to subscribe. 48GB for #8,000 – Valid for 30days – Dial *127*1# to subscribe. 60GB for #15,000 – Valid for 30days – Dial *127*12# to subscribe. 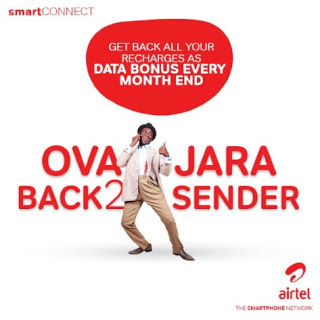 90GB for #18,000 – Valid for 30days – *127*13# to subscribe. 1GB for #200 – Valid for 1 Night – Dial *127*60# to subscribe. 3GB for #500 – Valid for 7 Nights + Weekend – Dial *127*61# to subscribe. #50 for 10MB – Valid for 24hours (1day). To subscribe , dial *229*3*8# or text Ml1 to 229. #500 for 500MB – Valid for 30 days. Dial *229*2*12# or text LCD to 229. #500 for 1GB (Weekend Plan)- Valid from friday 11:59pm – sunday 11:59pm. To subscribe , dial *5995*2#. #1,000 for 1.5GB – Valid for 30days. you can subscribe by dialing *229*2*7# or text AND1 to 229. #2,000 for 3.5GB : Valid for 30days. You can subscribe by dialing *229*2*8# or text AND2 to 229. #3,500 for 6.5GB : Valid for 30 days. To get started , dial *229*2*33# or text AND3 to 229. #8,000 for 8GB : Valid 30 days. Dial *229*2*55# to subscribe or text smarte to 229. #8,000 for 16GB : Valid for 30days. Dial *229*2*5# or text MB6 to 229. #10,000 for 22GB : Valid for 30days. Dial *229*4*1# or text SM1 to 229. #27,500 for 30GB : Valid for 90 days (3 months). Dial *229*5*1# to subscribe or text 4M to 229. #110,000 for 120GB : Valid for 30 days. Dial *229*5*3# to subscribe or text 12M to 229.